Investigations in the Banks Lab focus on understanding the mechanisms linking obesity with insulin resistance and ultimately the development of type 2 diabetes. The goal of this work is to provide new insights that may lead to novel therapeutic interventions. Approaches used in our work include pharmacologic and genetic approaches in mice and in human cells to mechanistically model aspects of human metabolic disease. Obesity-linked insulin resistance is the most common precursor to the development of type 2 diabetes. 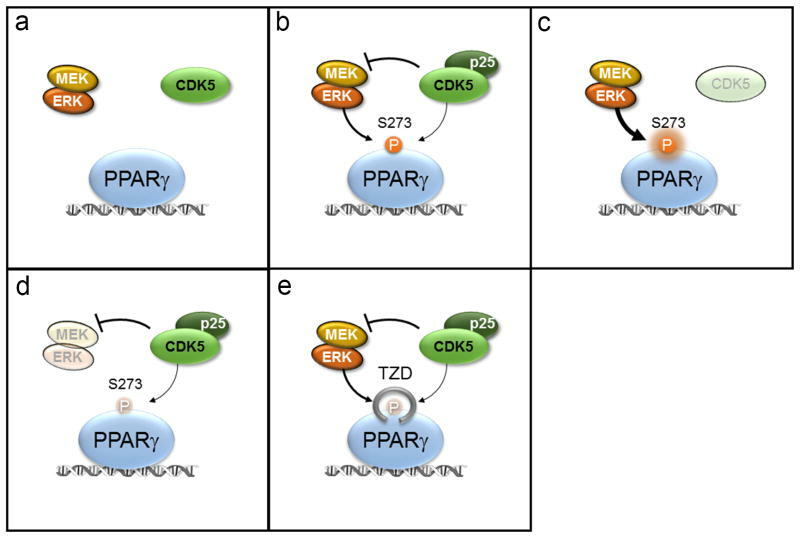 Our previous work has shown that phosphorylation of PPARg at serine 273 stimulates a pattern of gene expression in adipose tissues associated with insulin resistance and type 2 diabetes. Inhibition of this modification is a major therapeutic mechanism for anti-diabetic drugs acting on PPARg, such as the thiazolidinediones (TZDs) and partial/non-agonists. Despite being powerful insulin sensitizing agents, the side effect profile of the TZDs limits their clinical utility. We would like to understand the insulin sensitizing properties of the TZDs linked to their ability to block PPARg phosphorylation in order to rationally target this pathway using safer new approaches. Bringing personalized medicine to patients with diabetes promises to improve both quality and cost of care. However type 2 diabetes (T2D) is a complex disease deriving from both the interaction of an unhealthy nutritional environment with genetic predisposition. T2D is a polygenic disease where numerous genes (or regions of the genome) have been associated with risk for disease. Yet how many of these genes contribute to diabetes development is largely unknown. We are examining the biochemical function and impact on physiology of diabetes susceptibility genes. We’ve been focusing on the role of Cdkal1, which has putative regulatory roles on either CDK5, or on protein translation. 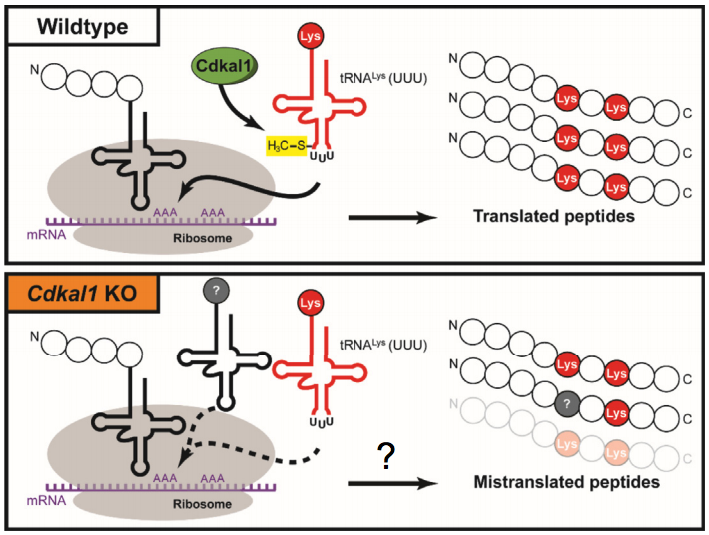 In our studies, we’ve found that the primary function of Cdkal1 is distinct from these proposed mechanism. Cdkal1 regulates of mitochondrial function.